Private land waterfowl hunting access gets harder and harder to come by every year. 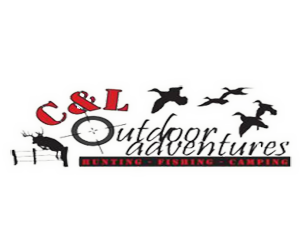 C&L Outdoors is here to help you gain access to that land. Instead of typical clubs that offer you one property, a membership with C&L Outdoors gains you access to many properties. They are located in southwest Missouri and have properties in Missouri and Kansas. You can hunt spring fed creeks, moist soil marshes, and even dry fields. If you’re looking for private land waterfowl hunting, then look no further! They are a part of the Hunt Fish Camp Network which enables their members to gain access to all of the land that our affiliated clubs lease nationwide. C&L strives to lease the very best hunting ground for their members and their guests. Not only do they lease tremendous hunting land year after year, they will dispose of any land that is not producing huntable game at our high standards! They evaluate and lease only the best hunting land that the area has to offer. C&L Outdoors keeps an average of 100 acres per active hunting member in case every member of our club decides to be out hunting on the same day. With C & L you have access to different private land properties all year long, and you have the opportunity to do the hunting on your own! Why go hunting if you’re not willing to do any of the work to track and harvest your game? You pay dues only once a year to gain access to unlimited hunting, fishing, and camping opportunities! They do not restrict when you hunt or where you hunt, and they will never force you to hunt with anyone you didn’t personally invite.